I get as far as the first dialog after clicking 'flag' after which the bug occurs. I can click on the 'exact duplicate' radio button at this point, and even choose or paste in the link, but cannot flag the question. I can't find the MSO Q&A on this, but I'm 99% sure that this is status-bydesign. The system is designed for Stack Overflow, and they design it so that if you're out of the "lay man" votes, you need to just let it be. This is a problem on small-medium sites like ours. 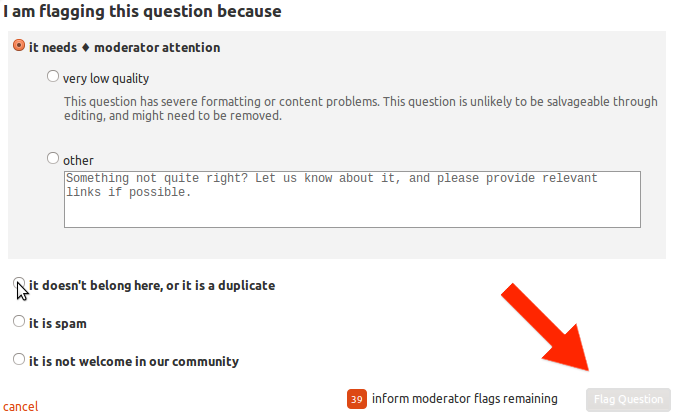 Anyway, just flag it using this "It needs moderator attention > Other", and explain. I used to do that, and I know of many other prominent users of the site who also do that. That will be counted as a close vote. They do not flag or alarm the moderator. 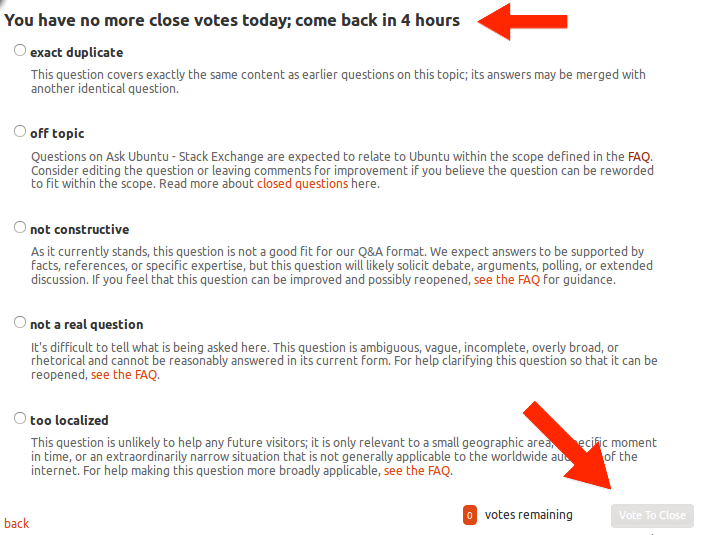 Since you consumed all the close votes for the day, you can't flag question on that category. And yes, you can still flag a question using other types of flag, such as spam and offensive.